The almighty dollar has lost a bit of its power lately, as central bankers diversify to other currencies in their reserves. Here are some of the options -- both practical and absurd -- to replace the greenback. They're not exactly the U.S. dollar. Or the Japanese yen. Or even the British pound. The global recession and the weakening U.S. dollar have brought increased attention to local currencies, virtual currencies and units of accounts that don't quite make it as official tender. Unlike the almighty greenback, most alternative currencies have not been recognized by national or local governments as the official means of exchange. Nevertheless, depending who you ask, they have purchasing power and fulfill a niche -- whether for an investor looking for a safe investment, a small baker looking to draw local customers or a jet setter in search of work space virtually anywhere in the world. 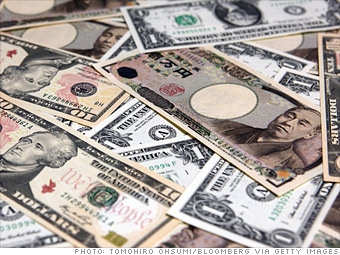 Fortune takes a look at some currencies that aren't quite currencies.  Is deflation the problem that will throw us into a depression?